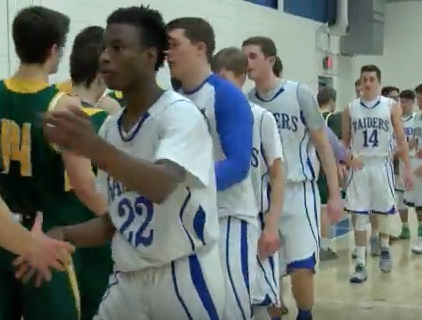 Last Tuesday night, U-32 hosted BFA St. Albans in a VPA boys basketball matchup. The Raiders and Bobwhites came into the game with identical records at 3 and 1. Visiting St. Albans is in division 1 with the hosts are in D2 but the Bobwhites are currently without one of their star players, so a close game was expected.